Your tone of voice is telling your job interviewer more than you think. This is a guest post by Dr. Michael Britt. Ok, not bad. All this should help you present a good impression. But have you thought about what your voice says about you? 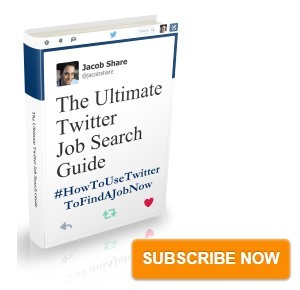 Did you do anything to prepare your voice before your last job interview? Interviewers pay attention to body language (eye contact, smiling, etc.). Sometimes I wonder if job seekers realize this because I’ve interviewed more than one person who wore a drab “this is my interview suit” suit and sat back in the chair like it was getting late for his afternoon nap and when was this going to be over? There’s not much you can do about how high or low your voice is, but you might as well know that for men, lower voices are seen as more authoritative (wouldn’t we all like to sound like James Earl Jones after all?) and people with voices like this are seen as more appropriate for managerial jobs. For women, interestingly, a low voice or a very high voice is rated poorly. Low voice = not feminine, high voice = not mature. Geez! Ya can’t win! Has your voice changed? Don’t speak in a monotone voice. Remember how your college professor put you to sleep with a boring lecture? Put some life into your voice during an interview. Who wants to have a boring co-worker? Show a little personality through your voice. Although you don’t want to come across as a fast-talking, Slick Willie-type salesperson, don’t talk slowly. A good pace is essential for a good impression. While it’s good – especially if you’re stuck for an answer – to pause and say “that’s a good question”, long or frequent pauses don’t send a good impression. Your preparation regarding those annoying questions is important. I’m talking about watching out for sudden changes in how loudly you sound. Too much unexpected or surprising change in how loud you are can lead to a sense that you just aren’t stable and maybe not right for that job that requires a lot of responsibility. Pay attention to what your voice is doing. The voice characteristics above were studied with interviews for managerial jobs in mind. If you’re going for that great acting job then you might violate all of the guidelines above. Other creative types might also violate these guidelines. In either case, take a look at your voice language as well as your body language. And remember to sit up straight and give ‘em a good handshake too. 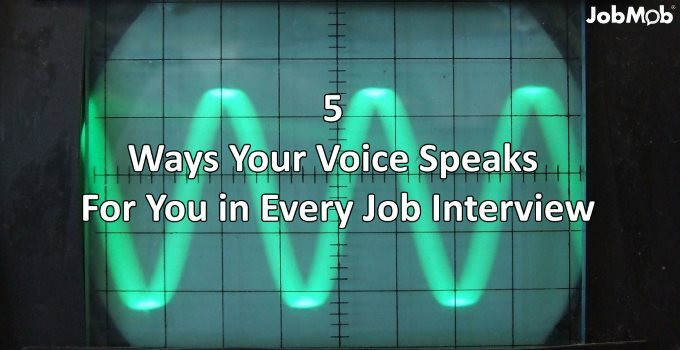 Do you do anything special to prepare your voice for job interviews? Tell us in the comments. Michael Britt, Ph.D., is the host of The Psych Files podcast and blog. The Psych Files is for anyone interested in what makes us “tick”. Each week he shows how ideas from psychology can be seen in everyday life. Michael taught psychology at Marist College and is currently an eLearning specialist for Pearson Education. You can subscribe to The Psych Files through iTunes. Is your message getting across? 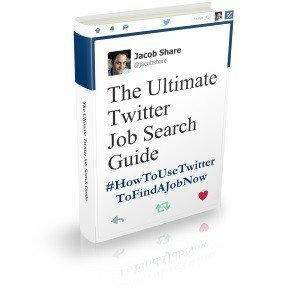 Subscribe to JobMob via RSS or email and follow me on Twitter to learn how to tweak the skills that are critical to your job search success. The comment about the pitch of one’s speaking voice being unchangeable is incorrect. Because most of us are not breathing properly, the voice that results is one being powered by only 4 resontators: the throat, voice box, mouth, and/or nose. When you learn to use the diaphragm to support breathing, however, the chest cavity then becomes the 5th and most powerful of the amplifiers and generally the pitch of the speaking voice will drop. In addition a low-pitched speaking voice on a woman is not looked upon poorly. Cher, Demi Moore, Kathleen Turner, Diane Sawyer, and Joanne Woodward do not possess voices that sound less than feminine. In truth, a low-pitched speaking voice for a woman is not only more mature-sounding but can be extremely sensual which one does not find among any female voice that is high in pitch. Your article is good except for the fact that you can change the pitch of your speaking voice. When you learn how to power your sound by means of your chest cavity, you will find your pitch will become deeper (in the majority of cases). By the way, a deep voice for a woman is authoritative as well as sensual. Listen to Kathleen Turner, Diane Sawyer, Julia Ormond, Cher, Lauren Bacall, and Joanna Woodward. And, of course, Marlene Dietrich was renowned for her deep, sensuous sound. My apologies. Missed the comments when I read this article today and didn’t see that I had responded 4 years ago. I’m working on the audio book version of my collection of short stories and found all of this advice worth considering while I do that too!